PORTLAND–If you write for a living, hope and fear are part of the deal. Hope, because you believe your ability to make words appear on a screen in a pleasing sequence will lead other people to give you money. Fear, because you worry that other people will realize you are not all that good at that work, and that other writers can do it for less anyway. I spent three days here last weekend at XOXO, a conference staged to lend hope to independent creativity. That was a fairly abstract concept to me three years ago; I was approaching my 17th year at the same employer and had (fraying) ambitions of retiring there. Then other things happened, I didn’t get another job as I’d expected, and after two and a half years of freelancing full time, my indie existence no longer feels like a fluke. But it can still feel lonely. So it was tremendously empowering to commune with smart, talented, hard-working people who had taken a similar course, then see some of them testify about it. I kept finding myself nodding vigorously at things I could have said, or wished somebody would have told me a couple of years ago. Cartoonist Erika Moen evocatively recalled her own I-think-I’ve-gotten-somewhere moment: “I’m self-employed. I’m creating. I’m in love. I’m happy.” In my notes, those sentences are set off with one all-caps prefix: THIS. One of my favorite talks came from musician Jonathan Coulton (longtime readers may recall his guest spot on my Post podcast, the audio of which has apparently gone down the bit bucket). He spoke bluntly about his moments of self-doubt–“there are times when I say to myself, I wonder if I have ever done anything that’s really good?”–but also showed a cheery defiance of standard-issue career advice. And Cabel Sasser, co-founder of the Mac software firm Panic, Inc., gave a wonderfully human recounting–who among us has not sometimes thought, “I needed to file a bug report on myself”?–about what it meant to keep his company independent. The other part of XOXO that lit up my brain was the other people I was able to meet there. Baio and McMillan’s attempts to limit the audience to people who made things, their exhortations to say hi to whoever’s next to you, and the inevitable random conversations while waiting in line at the food trucks outside the Yale Union building all made this one of the more welcoming spaces I’ve occupied. 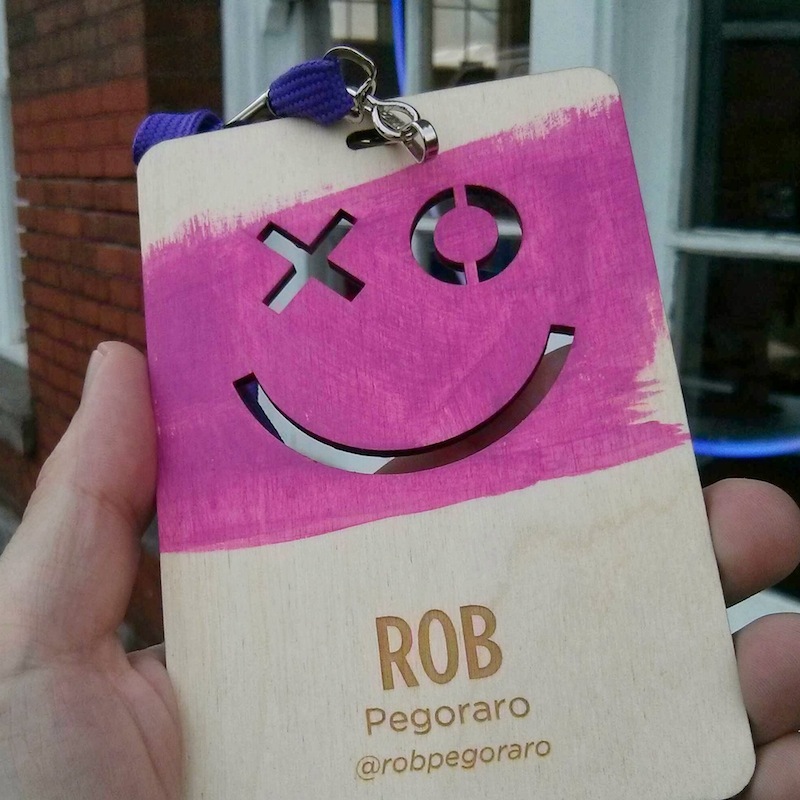 Many Internet-famous individuals are jerks, but I did not meet any jerks at XOXO. I was particularly delighted to meet people I hadn’t seen in months or years, or had only known as usernames in Twitter, e-mail addresses in my inbox or a remote voice on the same radio show. You know who you are; hope to see you again soon. This entry was posted in Events, Journalism, Occupational hazards, Personal, Work and tagged Andy Baio, Cabel Sasser, DIY, Erika Moen, freelance, indie, Jack Conte, Jonathan Coulton, PDX, Portland, XOXO by robpegoraro. Bookmark the permalink. What an interesting conference and one that I have not heard about previously – it seems like a place to really find inspiration from different forms of creativity. I absolutely love the idea of measuring your work by whether it is making you more happy or less happy. In fact, I think this is a fantastic way to measure any endeavor in life, because if too many things are causing you to be less happy, then are they really worth doing? Definitely going to try to think this way more often. Thanks for sharing, Rob.